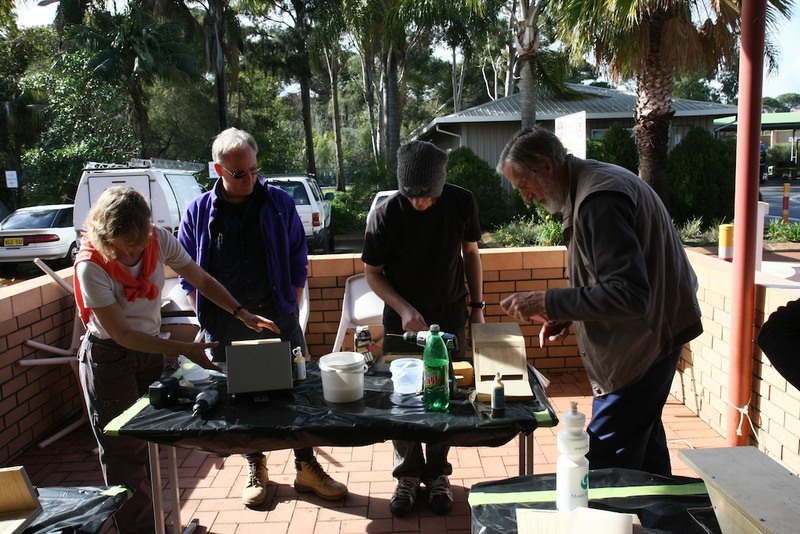 Join us for an exciting night stalk at Bibra Lake on the 10th October. On this night we’re looking for anything that moves, frogs, spiders and whatever. The bats will be in force. They have taken up more boxes. The White striped freetailed bat is now in residence. This species is one of the largest microbat in Australia. The face really looks like a dog- mastiff like.. Come along and get a close look at it. You’ll be blown away…..
Want to see a Barn owl??? There’s a good chance you’ll see and hear them screeching above our heads. 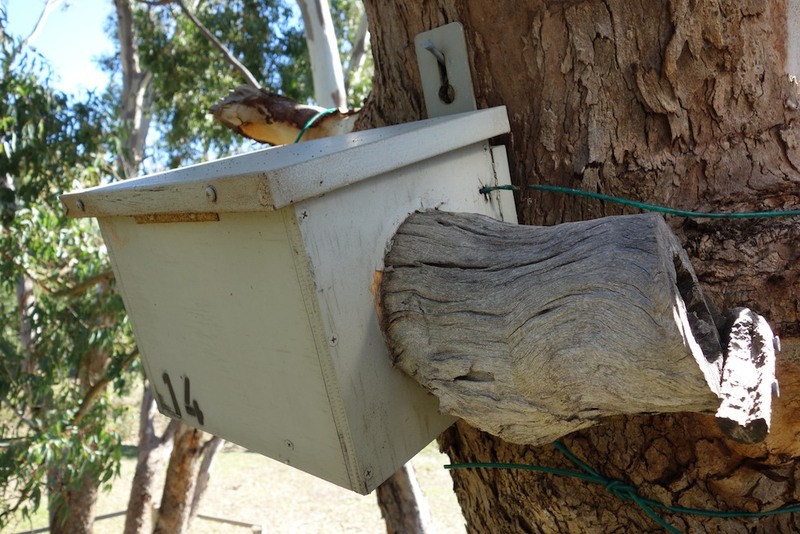 They’re nesting in one of the bird boxes. Just awesome…. Call the City of Cockburn on 9411 3444 to find out more. Having an interest in bats is like following a religion. You have to be patient. Bats might not come immediately. You have to have faith. They are there but mostly we can’t see them. You are constantly praying. Hoping they will come sooner rather than later and they will appear. So with this all in mind (and holes in my trousers at knee height for praying so much) I decided to show you there is light at the end of the tunnel. 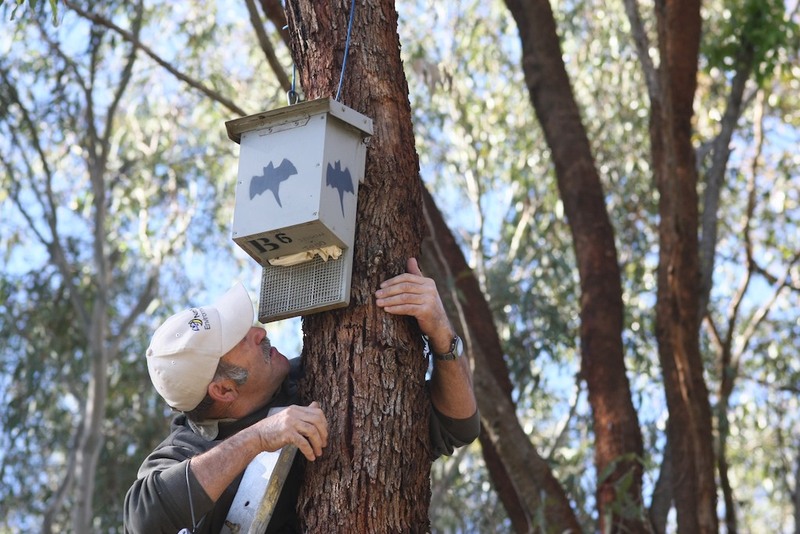 In the video attached I talk about the Anabat bat detector, discussing observational skills to acquire in looking for bats in your box. So sit back, relax and enjoy it…cheers Joe. This phone call was from a local resident (Angela) who lives in East Fremantle. She had discovered a bat clinging to a timber bollard in her backyard. The poor thing was severely dehydrated and utterly exhausted. Angela dropped the bat over at our house. Upon closer inspection, it was noted that it was a Gould’s Wattled bat, aged about a year old and a female. Dad showed it to my sister and I, met with an enthusiastic welcome. My sister Samantha was given the exciting honour of naming our new furry friend. She chose the name Ash and it stuck. We fed the bat water from a spoon because Ash was dehydrated and thirsty. After that, we went outside to our backyard with torches and nets to hunt down some moths for Ash’s dinner. Dad caught one, but it flew away. With no luck, we continued into the front garden. We finally caught one, and then hastened inside to feed our little guest. Ash was still hungry, so we continued searching. Samantha had a bright idea- why not check the pantry? She was lucky enough to catch a moth with just her bare hands. Because Samantha had sprayed mosquito repellent on her hands, we thought the scent might put Ash off her dinner. Ash had no such qualms, however, and gobbled it right up. When Ash was full, we placed her back in her special container and drove to the East Fremantle Oval to try to set her free. My dad clutched Ash to his shirt so she would be warm. Then he put her on his hand and waited for her to fly away. Unfortunately, Ash did not seem to be in a hurry to fly away. She just sat on Dad’s hand, not moving. So we returned home. 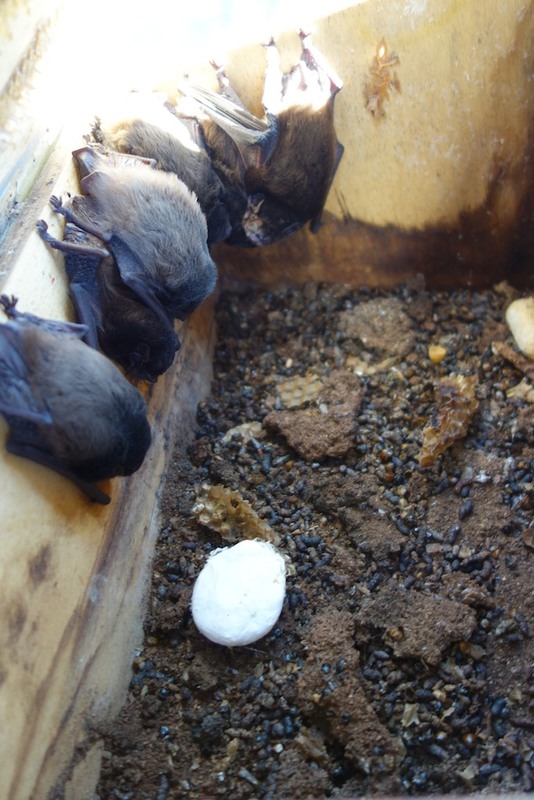 We placed a small cloth with a bat’s scent into Ash’s cage to keep her warm and comfortable. We placed her in my dad’s room so he could keep a watchful eye on her. Also, he could ensure our cat would not eat Ash. After saying goodnight, we draped a black cloth around the container to keep out the light. The next morning we looked after Ash, giving her water and food. Dad decided we should get her some food (without searching for moths!) so he and Samantha drove to City Farmers. They returned with a container full of ‘meal worms’ which were still alive and wiggling about. Although Ash was eating and drinking well, Dad was concerned there was something wrong with her. He took her to a veterinary clinic that specialised in native animals. Unfortunately, Ash had broken her wing and was unable to fly. This explained why she wouldn’t fly away when we tried to release her. For a microbat that has a broken wing, life can be cruel. She normally catches her food while flying about. If she has a broken wing, she would not be able to feed herself. The vet decided it would be kinder put Ash to sleep rather than let her suffer. We were all upset, daddy cried, but understood it was the right decision to make. We will never forget Ash the baby bat. Are you a visitor to Western Australia?? Mad keen about bats too??? Then come over and see what the West Aussies have to show you. I’d love to take you on a magical mystery tour pointing out the various bats that zoom around in our part of the world. 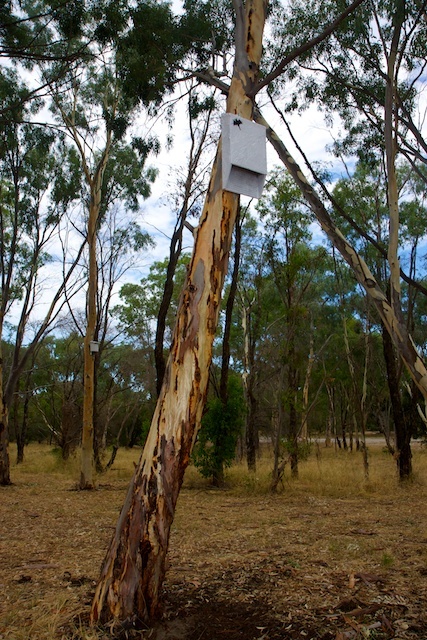 See the different bat boxes in operation. Get up close and personal with the bats. Just for a bit of extra excitement watch out for the deadly Tiger snakes. They hunt the frogs in the lakes close by. The bats are waiting???? Evening tour consists of a one hour roaming around discovering the world of micro bats. Now this will blow you away. See the bats through a thermal imaging scope. It’s hooked to a Ipad so you can see what I see. When : 20th April 2012.